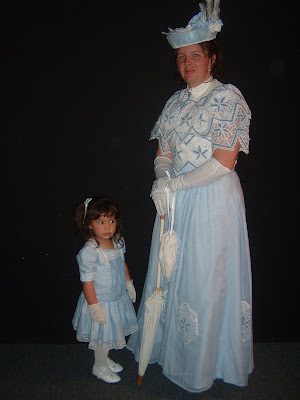 My daughter, Sara, and I participated in a fashion show for Lady Carolyn. The fashion show was for the "Gilded Age" of 1900 - 1915 and was held at the Automobile Museum here in Reno. There were four other ladies besides Sara and I and Lady Carolyn. We were all dressed in clothing from 1905 - 1912. 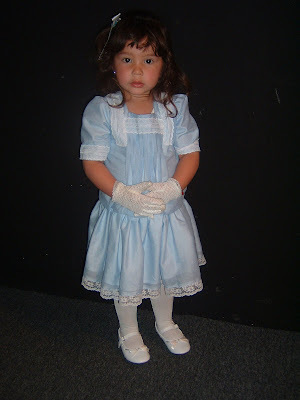 This was Sara's second fashion show and she was a huge hit, of course. I made Sara's dress out of the left over materials from my dress so we matched as mother and daughter.